No. The vehicle remains the funder’s property throughout the duration of the contract. But this also means that the funder carries the depreciation risk the vehicle. Do the vehicles carry a warranty? Yes, all of our vehicles will be covered by the manufacturer’s warranty. What is the minimum term for contract hire? Our contract hire agreements are from 18 months to 60 months but if you want to discuss other options we love a chat! We offer a maintenance packages for a fixed monthly payment that includes servicing, maintenance, unlimited tyres, exhausts and batteries. Do I need to complete a MOT for my lease car? Our contracts range from 24–60 months depending on the vehicle and funding option chosen. Is vehicle insurance included in the price? Unfortunately no. Every quote criteria is always different, customer age, vehicle type, lease agreement length etc making it impossible to cost insurance within the lease price. Do you have cars with a low deposit? 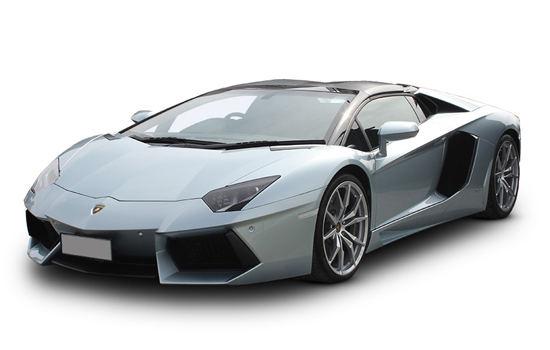 Yes, we have cars on contract hire with an initial low deposit; monthly rental might be more if the deposit is lower. It is worth checking our Flash Offers, as they offer you great value for your money. What will my annual mileage be? We offer our customers different mileage depending on their requirements. If you work close to where you live and you do the occasional long journey you could lease a car with 8,000 miles per annum. If you don’t think 8,000 miles per year is enough we also offer agreements from 10,000 to 40,000 miles per year. It’s all about flexibility at CVSL, everything we do is for you…. And we go that extra mile! What happens if my mileage changes? We understand that your circumstances can change - contact us so we can discuss options with you. We can often increase mileage allowances (though it is sometimes not possible to reduce them). Do I need to get the vehicle serviced? Yes, the vehicle would need to be serviced should you opt for a non-maintained agreement. We recommend getting your vehicle serviced at least once a year in accordance with the manufacturer guidelines. If maintenance is included within your contract hire agreement you will need to book your vehicle in via the lease company booking number. Don't worry, give us a call and we can talk you through the options. Can I end my contract early? And would it involve an early termination penalty? Yes you can, however this will incur a fee. Please contact us for more details. Do I need to tax my vehicle? Road Tax is included with most contracts however each product has different criteria. Our sales team will advise you accordingly. When does my initial payment come put? Your initial payment / rental will be taken from your bank by direct debit 7 to 10 days after delivery. Yes, you will have to be approved by our finance company. It is a simple process from start to finish and if you have any questions please do contact us. What happens if my leased vehicle is involved in an accident and is written off by the insurance company? It’s worth noting that your finance provider will not enter negotiations with your insurance company – this must be done by yourself. In the event of a total loss, the most important thing to do is contact us. Your sales advisor will be able to give you all the information and instruction you need. I need a repair on my car can I just go anywhere? It is important you ensure that the vehicle is serviced and the service record is completed by a dealer approved or authorised by the finance company and that the Vehicle is maintained in accordance with the manufacturer recommended servicing schedules( and any instructions from time to time issue). If I order a car today how long does it take before it will be delivered? If it’s a stock vehicle it can be delivered within 14 days depending on the finance approval. If it’s a factory order vehicle it can be up to 12 weeks. We will keep you up to date at every point of your new car’s journey. You need to arrange fully comprehensive insurance. We can easily provide a list of approved insurers. Can I have a personalised number plate on my vehicle? Yes you can, however charges may apply. Please contact our team and they will arrange this for you. What happens when my contract hire ends? Please note that we do not accept any spare keys or missing items after the collection of the vehicles and a charge may apply.